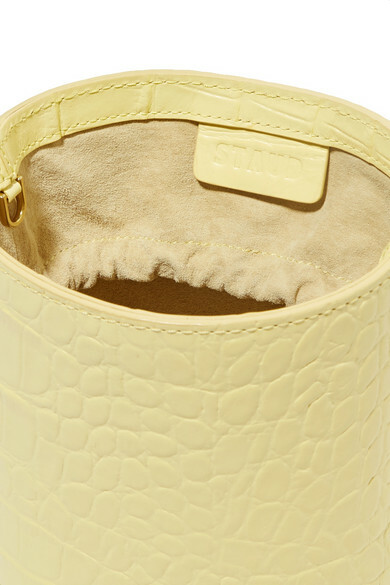 Jeanne Damas, Leandra Medine and Alexa Chung have been spotted with STAUD's 'Bissett' bucket bag, and we think they'd love this new pastel-yellow version. 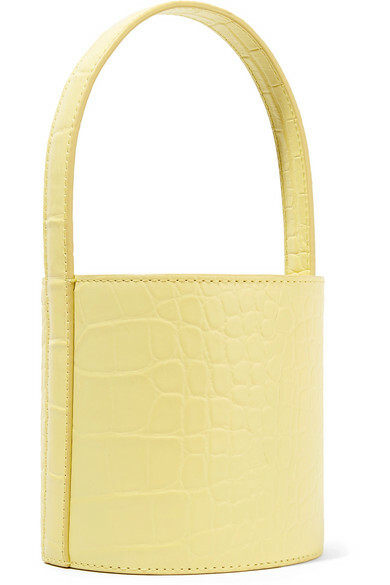 It's made from glossy croc-effect leather in a scaled-down silhouette and has an internal drawstring to keep your essentials secure. 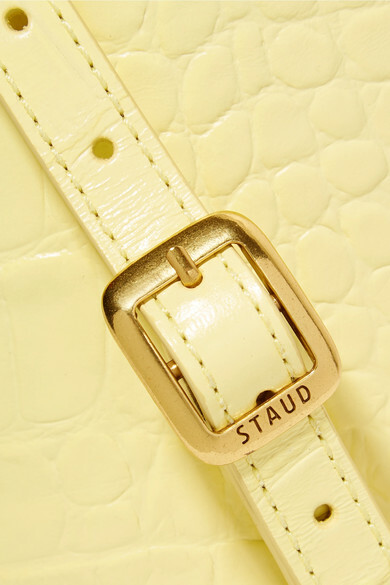 Carry it by the detachable shoulder strap or curved top handle. Shown here with: Faithfull The Brand Dress, STAUD Mules, Jennifer Fisher Ring, Sophie Buhai Cuff, 1064 Studio Ring, 1064 Studio Necklaces, Alighieri Necklace, Alighieri Necklace, Loren Stewart Anklet.